THE VISITS OF Queen Elizabeth and Barack Obama to Ireland last month will cost the State a total of around €20m, Taoiseach Enda Kenny has suggested. Speaking in the Dáil this afternoon, Kenny said that while the final costs had yet to be totally broken down, the two visits together were expected to cost about €20m. Responding to questions from Joe Higgins, Kenny said that his own department would shoulder around €11,000 in costs for the Queen’s visit – mainly in catering for the various events – and around €600,000 on the visit of Barack Obama. Most of the Department’s costs for Obama had been incurred through hosting the public address at College Green in Dublin, Kenny said, though the United States was expected to make a contribution towards that bill. Defence minister Alan Shatter had previously said the Defence Forces’ bill for the visits had come in around €1.73m, but that no tallies could be offered as yet on the cost of any extra Garda work for the visits. 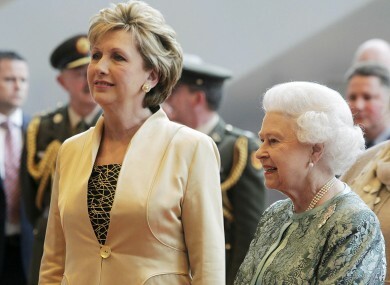 Email “State visits to cost Ireland 'around €20m' - Taoiseach”. Feedback on “State visits to cost Ireland 'around €20m' - Taoiseach”.